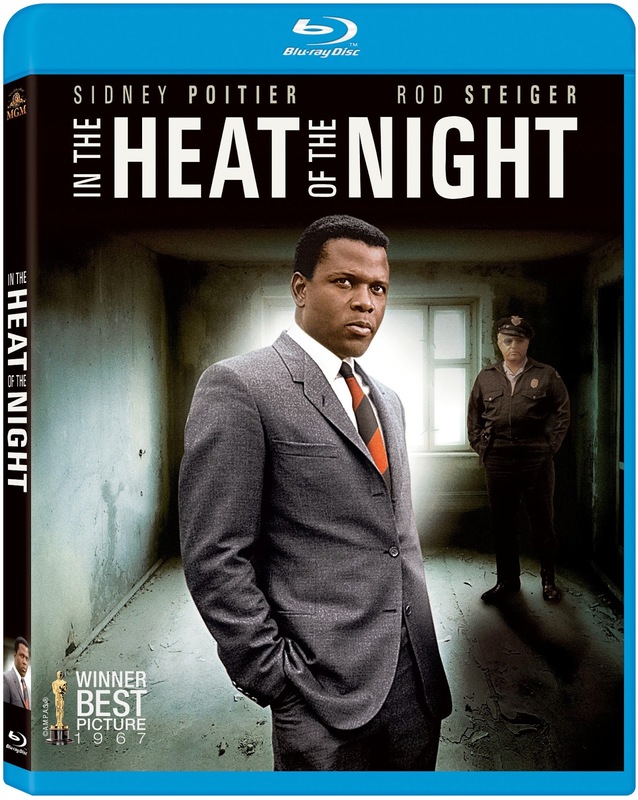 Rupert Pupkin Speaks: Fox Home Video - IN THE HEAT OF THE NIGHT on Blu-ray ""
When I was a kid, one of my dad's favorite TV shows was In The Heat of The Night. The TV show of course featured Carroll O'Connor in the Rod Steiger role and Howard E. Rollins Jr. in the Sidney Poitier part. It was a pretty solid show. At some point, my dad saw fit to show me the movie the show was based on and I remember it having an impact on me for sure. Being from the midwest and not living in an urban area, I was less exposed to race in general which was a bit unfortunate. If I recall, my high school only had a handful of African-American students at any given time. Racism was certainly something I encountered throughout my young life there and it was always unpleasant. When I saw IN THE HEAT OF THE NIGHT it felt quite raw and powerful because it was addressing this issue that was not oft discussed. Recently my son was reading To Kill A Mockingbird in his English class. He was at once fascinated with the story and horrified by some of the goings on therein. The issues of race and how they were dealt with were troubling to him understandably, but he liked the book as a whole. IN THE HEAT OF THE NIGHT seemed another interesting outing into racially charged territory for him so I thought we could watch it together and talk about it. Though I've shown my son many films over the years (we have a regular Friday movie night at our house), I'd never shown him a Sidney Poitier film and this seemed as good an introduction as any to the career of such an outstanding actor. 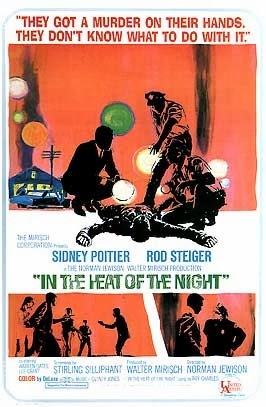 Well, let me just say that the movie still holds up and carries quite a bit of weight with it, especially the exchanges between Rod Steiger and Poitier. Steiger is one of those actors for me that really carved out an interesting nitch for himself. He very much started his career as a character actor. He played a helluva a lot of evil characters to say the least. On the surface, many of his characters are easy to despise, but I always felt he brought a certain subtle humanity to a lot of them (as a great actor can) allowing them to be much more than mustache-twirling caricatures. That being said, he really makes his sheriff character here a bit different than you might expect. You keep expecting him to do the wrong thing, but he ends up making a lot of proper decisions and coming around. I guess that's what good acting can be about sometimes. I've come to the realization lately that a good villain is structurally a huge part of what makes a movie work for me. If the villain is weak and unchallenging, the movie tends to suffer in my eyes.